Most are associated with DIP joint arthritis and may have a pedicle from the DIP joint. 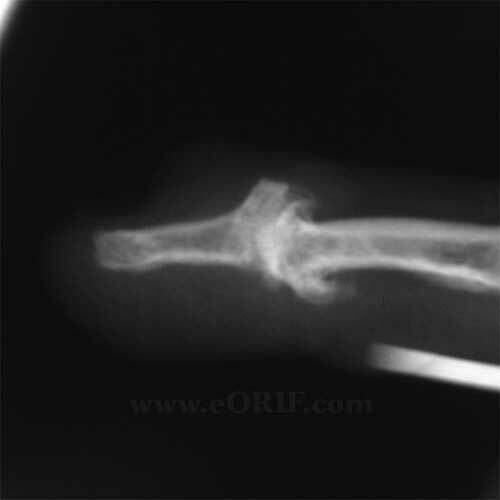 Fluid filled cyst and thin skin over the DIP joint of a finger. The cyst itself, or the underlying arthritis in the DIP joint may be painful. 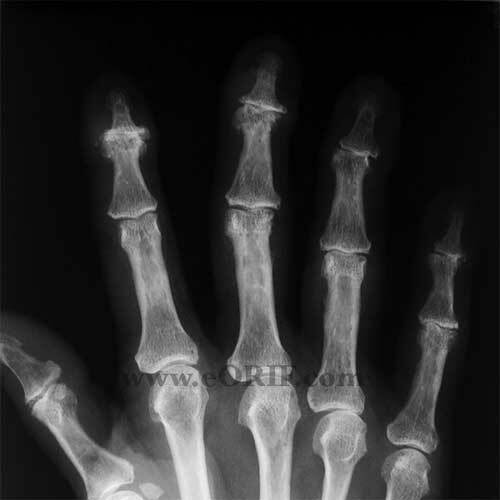 AP and lateral views of the affected digit: generally demonstrate DIP arthritis with dorsal osteophyte. Mucous Cyst excision as well as osteophytes. 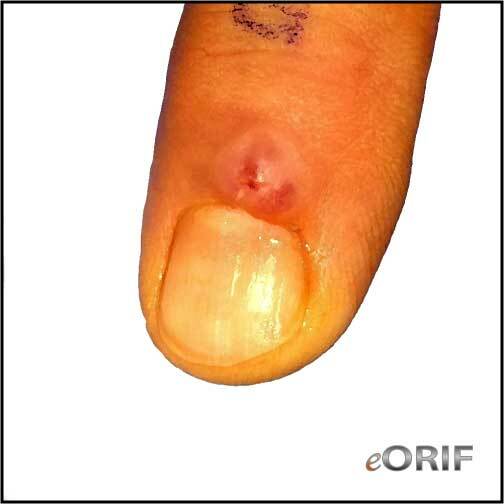 Avoid injury to extensor tendon, nail matrix, articular surface, often requires rotation flap or full thickness skin graft for closure.